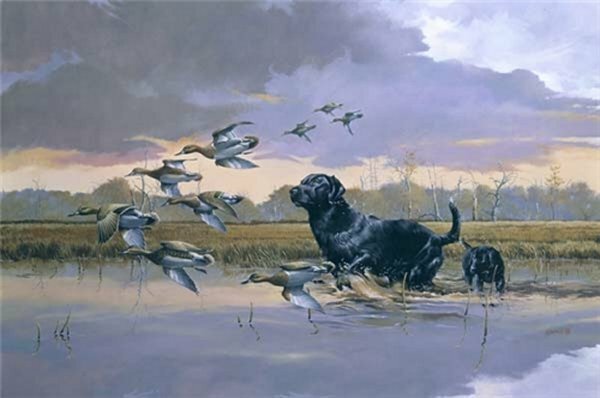 Daylight Express by Phillip Crowe ~ This is the first hunting scene print by Phillip Crowe in more than a year. It follows in the tradition of other popular pieces like Training Camp as it features a pup training to become a champion retriever. In addition, it has all the excitement and power of the adult lab in his prime!